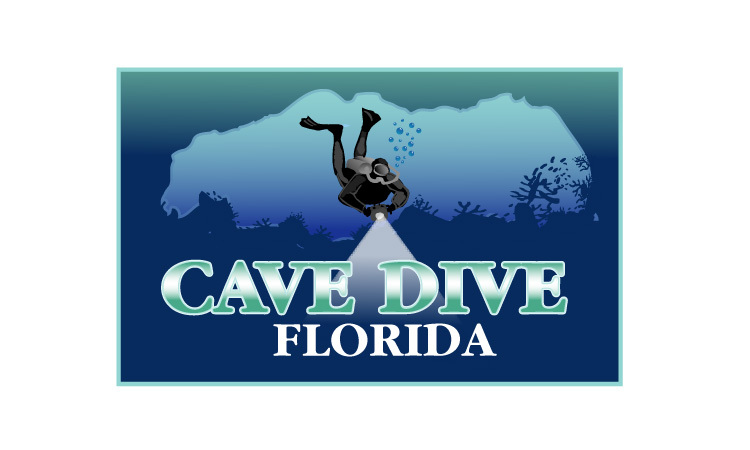 Cave Dive Florida is operated by Jim Wyatt, offering personalized Cavern through full Cave diver classes as well as other advanced diver classes like Decompression Procedures, Advanced Nitrox, trimix, CCR Cave Diving, CCR open water diving and Cave DPV. If you want to learn to dive double tanks, a dry suit or to set up a technical diver rig we have a program designed especially for you. If you have already decided to take the plunge and get cave training give me a call. We have the most beautiful underwater caves in the U.S.A. right here in North Florida. Cave diving is an exhilirating activity and most people who complete their cave training report it is the best and most thorough recreational diver training they have ever undertaken. If you are ready for some fun and serious diving, we will help greatly increase your diving skills all the way around. Buoyancy control, breathing control, swim positioning, gear configuration refinements, awareness, decompression theory and much much more is in store for you!! (2-3 days). 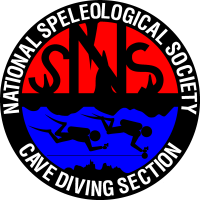 This course leads to certification as a cavern diver . The cavern course is considered by most to be the foundation for all cave training. Your standard/basic open water gear is all you need to enroll in this class. (3-4 days). This course leads to certification as an intro or basic cave diver. Intro cave diver course is a single tank program. Basic Cave is a double tank program and leads to a cave certification for diving doubles in the cave environment. Basic Cave expires 18 months after issue. Call Jim for details why this expires & how to renew. (4-5 days). This course leads to dual certification as a cavern and intro/basic cave diver. (3-4 days). This course leads to certification as an Apprentice cave diver. Participants must be certified as Intro to cave or Basic Cave and at least to the Advanced Open water level and as a Nitrox diver prior to participation in this course. Experience and proficiency diving double tanks is also required. Apprentice cave expires one year after issue. Call Jim for details why this expires & how to renew. (3-4 days) This course leads to certification as a full cave diver. Participant must have an up to date apprentice certification. All divers must be certified at least to the Advanced Open water level and as a Nitrox diver prior to participation in this course. (2-4 days) . This Program is designed to provide training in the use of Diver Propulsion Vehicles in the Cave environment. 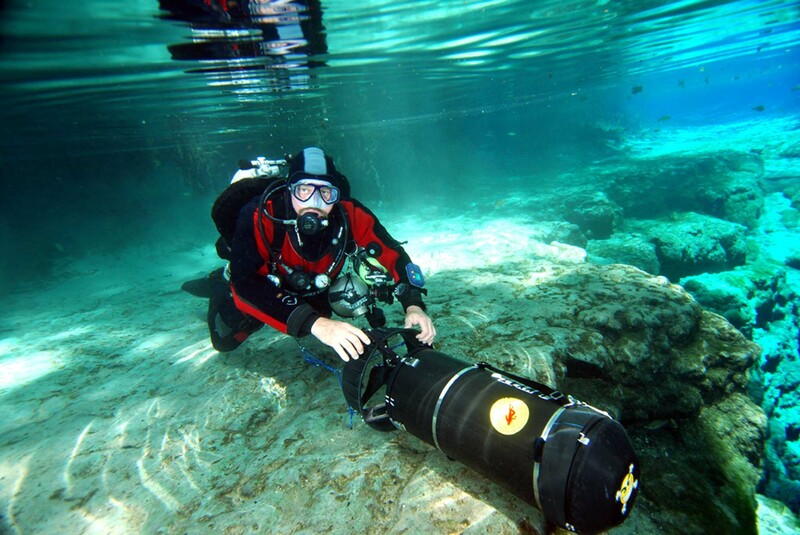 Cave Dive Florida is a dealer for Silent-Submersion scooters and if you purchase your scooter from us your cave DPV course fee is included in the price of the scooter. This is one of our most commonly requested courses. There are 14 dives required at a minimum in order to complete this set of courses. All divers must be certified at least to the Advanced Open water level and nitrox prior to participation in this course. Stage Cave Diver. (2 days)This course is designed to teach divers how to safely extend penetration distance into cave systems using single or multiple stage bottles. Advanced Nitrox and Decompression Procedures combination course. (4 days) 1 full day of classroom and 3 days of diving for 6 dives minimum. These are actually 2 separate courses and can be taught separately but they mesh very well being taught together. These classes can be conducted in cave country or in Key Largo. (3-5 days) 4 dives minimum. 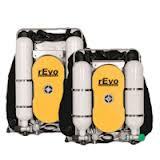 Prerequisites: Advanced Nitrox & Deco Procedures and/or Extended Range. 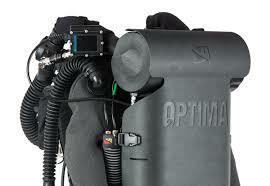 Advanced/Full Trimix (4-5 days) 4 dives minimum. Prerequisites: Entry level/normoxic trimix. This class requires a minimum of 6 days. You will spend time in the classroom covering the theory of rebreathers, how and why they work, how to put one together, take it apart, clean it, diagnose and repair problems. You will spend lots of hours in the water diving the rebreather and learning how to solve problems as they happen and more importantly how to prevent the problems from occurring in the first place. If you are certified on any other CCR we can conduct a O2ptima or rEvo crossover in 3-4 days! Instructor Development programs from Open Water through Technical Cave, and Trimix, First Aid, CPR and AED. IANTD, PADI/DSAT, NSS-CDS programs. We can certify you at all levels for the PADI/DSAT technical diver programs. CCR Cave certification program - involves all facets of a regular cave diver training program integrating the Closed Circuit Rebreather instead of open circuit doubles. Call Jim at 352-363-0013 to discuss details. CCR Cave crossover from open circuit requires a minimum of 6 cave dives over 4 days. Course fee is $750. Ccourse fees do not include textbooks, park entry fees, gas fills, rental equipment, trimix or certification processing. These prices are subject to change without notice. Course fees are due on day one of class and are payable in cash. See the paypal links below. All divers participating in our training programs must have diver protection insurance. This is available through DAN or Dive Assure. Please contact Jim if you have questions about this coverage which is less than $100/year. Please bring proof of coverage with you as well as all of your relevant diver certification cards. Also if you answer YES to any questions on the medical questionnaire bring clearance to dive from your physician. The balance of course fees are due on day one of the class and payable in cash only.